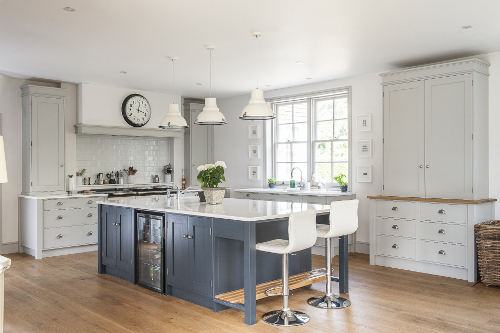 The owners of this beautiful Victorian family home in Sevenoaks contacted us with a plan for knocking through and extending their kitchen in order to create more space, while still retaining the character of their period home. 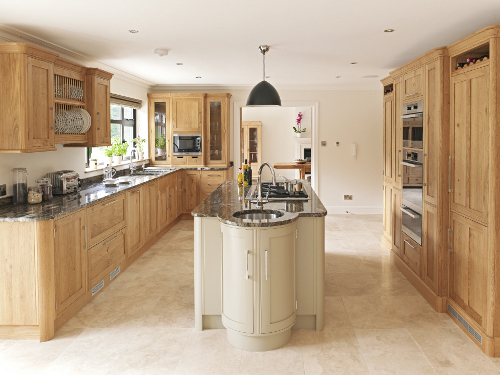 With this in mind, the handmade doors and drawers have been lovingly raised and fielded for a more traditional look, while polished granite worktops and bespoke stainless steel bar handles complement the classic design. The hand-painted island includes seating for four, and there is also a cosy yet informal banquette seating area. 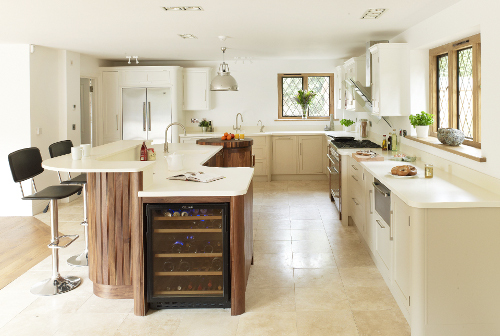 Appliances include a Fisher & Paykel European style fridge freezer, a built-in Neff microwave, wine fridge, Evoline port and a Mercury range cooker. To design and manufacture a new kitchen while remaining sympathetic to the architectural features of the property as a whole. The island, walls and painted glass splashback are all the same colour, while a lighter shade of off-white has been used to hand-paint the surrounding wall and base cabinets creating a subtle contrast. The addition of a banquette seating area at the far end of the kitchen provides a cosy corner for casual dining or coffee with friends.